Want to extract files from iTunes backup but do not know how? Read this post to find out an easy solution to recover files from iTunes backup. Download PhoneRescue prior to save your time before reading this guide on how to extract files from iTunes backup. Through our survey, over 79% iPhone users rely iPhone/iTunes/iCloud to store their important personal data. In order to help you extract useful photos, messages, notes and more from your backup, we composed this 2017 Best 6 iPhone Backup Extractor Software Review for you. Thanks to its powerful performance and fashionable design, more and more people use iPhone or iPad to work and play. Your iPhone or iPad keeps all your significant media files and personal info. However, Some iPhone or iPad users may lost their important iPhone data such as photos, music, and contacts due to various situation, mistaken deletion, device damage, for example. To safeguard your iPhone iPad files, you can backup your device to iTunes regularly. When it comes to extract files from iTunes backup, iTunes may disappointed its users to some extent for it won't allow to access and extract backups selectively. 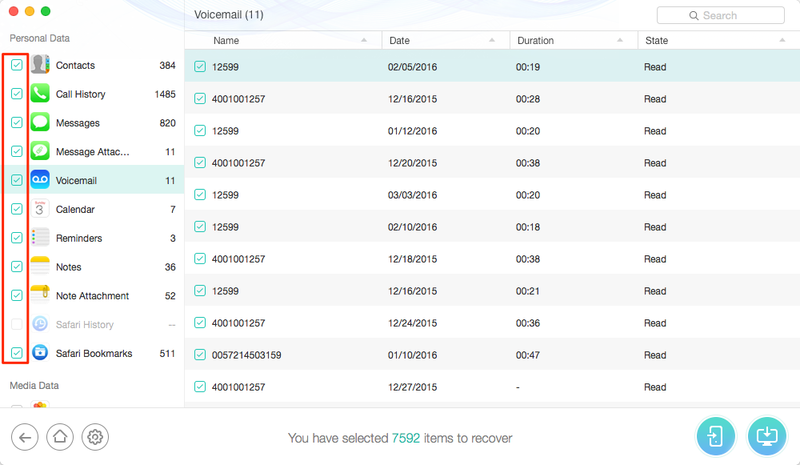 Here, we recommend you an iPhone iPad backup extractor,PhoneRescue - iOS data recovery to extract your files from iTunes backup. - Focus on recovering up to 22 types of iOS files, such as, contacts, messages, videos, call history, app documents, etc..
- Recover your important files via three safe ways - Recover from device, recover form iTunes backup, and recover from iCloud. - Preview the files in thumbnail before restoring them so that you can selectively recover deleted files and data to save time. Step 1. 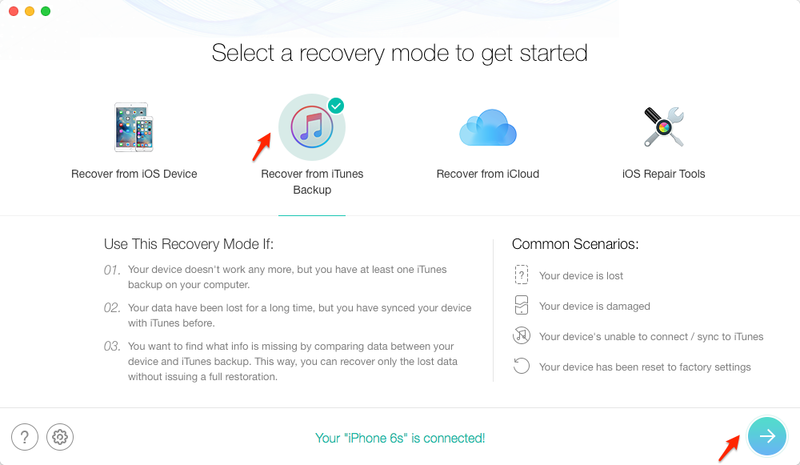 Launch PhoneRescue (choose Download for iOS) and select "Recover from iTunes Backup". Step 2. Choose an iTunes backup and start scan. Step 3. After the scan is over, and extract the files you need to iPhone or computer. 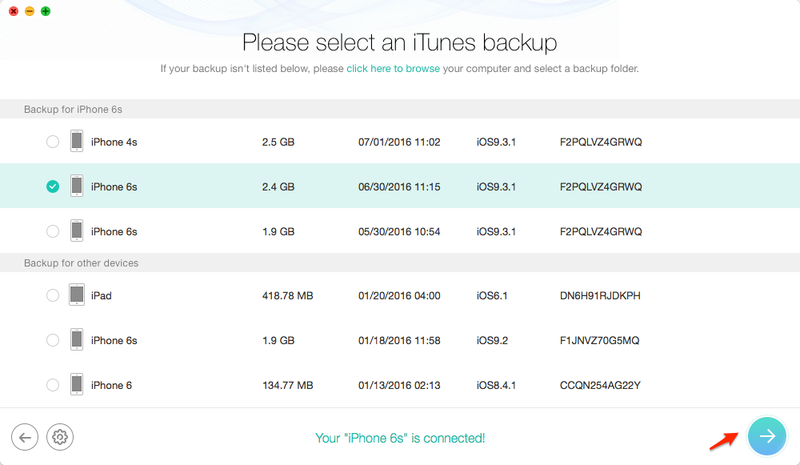 Have a try on this iPhone backup extractor PhoneRescue to extract your files from iTunes backup. Any questions about this article or PhoneRescue is welcomed. If this post is useful to you, don't forget to share it with your friends.